The Corvette is the longest-running, continually produced sports car in the world. And you can rent one from Rent A Vette. This symbol of American muscle is available for reservation by calling (888) 308-5995 or reserving online here. Fact 1: The Corvette popularized fiberglass in cars. In 1953, vehicles were typically made of steel. Though considered fragile and dangerous in accidents, Chevy rolled a Corvette, with limited damage, to prove cars could be made with fiberglass. This innovation earned Corvette the title “American sports car of the future”. Fact 2: The famous, and recently deceased, Prince wrote a song about a Corvette. His first big hit—Little Red Corvette—came to him while napping in a backup singer’s car after an all-night recording session. Fact 3: One of the most expensive cars in the world is the 1967 red Chevy Corvette L88. One sold for $3,850,000 in 2014. There were only 20 L88s produced and only one of them was red. 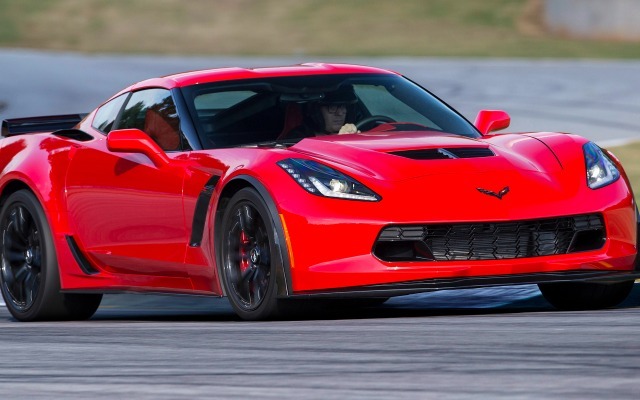 Fact 4: The Corvette Z06 is one of the fastest regular production vehicles available. It was created for private racers when GM couldn’t establish a factory race team. The 2004 C5Z06 and the 2012 C6 Z06 are two of just a few street cars to break the 8-minute time around Nordschleife (part of the Nurburgring complex near Cologne, Germany and one of the most difficult and dangerous circuits in the world, aptly nicknamed “The Green Hell”). Fact 5: Not only can you drive fast, the Stingray, for example, can do 0-60 in 3.8 seconds, but you can drive fast in REVERSE. With the 2014 Corvette Stingray, you can hit 53 mph in reverse. To put that in perspective…your average car tops out at 15 mph. Fact 6: Chevy was breaking rules (and laws) from the very beginning. The first Corvette was emblemed with an American flag. After The National Flag Code sent a memo that it is illegal to use the flag for advertising purposes, which includes vehicle emblems, Chevy changed to the fleu de lis, a French symbol for peace and purity. Fact 7: In 1955, Corvettes were made with a V8 engine. That year, 90% of customers went crazy for the V8 option. It was clearly so popular, the V8 was here to stay. 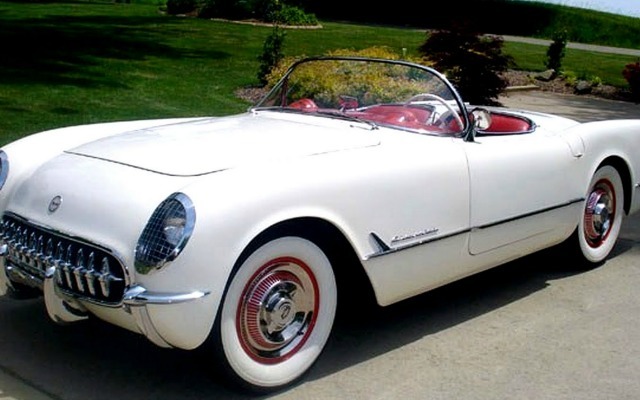 Fact 8: The Corvette debuted at 1953 GM Motorama at the Waldorf Astoria in New York City. An enthusiastic 1.4 million people visited Corvette displays throughout the U.S. that year. Chevy had underestimated the car’s popularity and production plans had to be accelerated. They offered the car in any color you wanted, as long as you wanted white with red interior. Fact 9: A Corvette by any other name is a warship. The Corvette was originally codenamed Opel. Chevrolet’s chief photographer, Myron Scott, is credited with calling it the Corvette, inspired by the small, fast class of corvette warships. 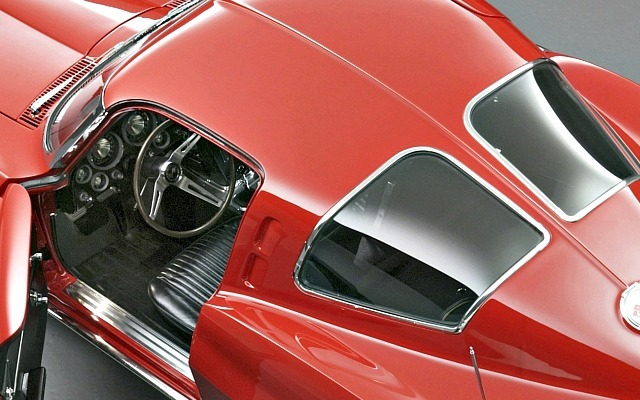 Fact 10: The 1963 Stingray had a feature that was never seen again: a split windshield. It had significant cult popularity but it was never repeated on any subsequent Corvette models. 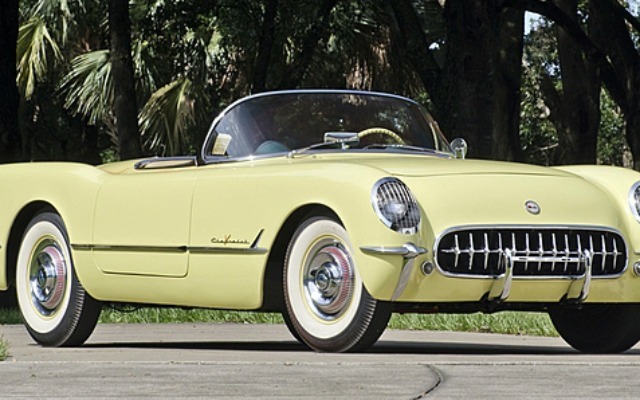 Fact 11: The 1953 Corvette had a base price of $3,498. It offered 2 options—a heater for $91 and an AM radio for $145. Fancy. AM and FM radio wasn’t offered until 1968. Fact 12: Corvette is known for mainstreaming technology previously reserved for high-end luxury cars. This includes things like fuel injection (1957), independent rear suspension (1963), four-wheel disc brakes (1965), antilock brakes (1986), and tire pressure monitoring system (1989). Fact 13: More than 1.5 million Corvettes have been produced and sold around the world since 1953. Fact 14: The 1973 Corvette was the first “Rubber Bumper” Vette, which replaced its chrome bumper. This federally mandated addition added 35 pounds and changed the look significantly. It’s the only year a rubber front bumper and chrome rear bumper were used at the same time. 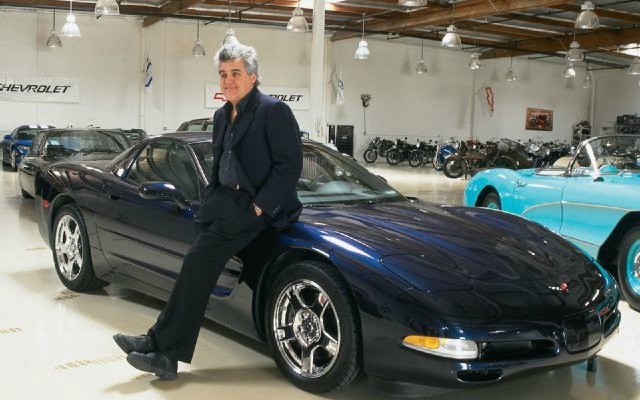 Fact 15: And finally, one of the most famous and recognizable Corvette owners: Jay Leno. He has a Navy Blue Metallic 99 Corvette coupe in his 130-car garage. So, visit Rent A Vette and drive one of America’s most beloved sports cars, the Corvette, or check out one of our other exciting and exotic car rentals in the Phoenix, Scottsdale, Tempe area. You’ll get the best in friendly, personal, and accommodating customer service from Arizona’s oldest exotic car rental company (operating since 1984).